If you came to this page from an outside link, you may want to see the Picture of the Month and visit my main page. 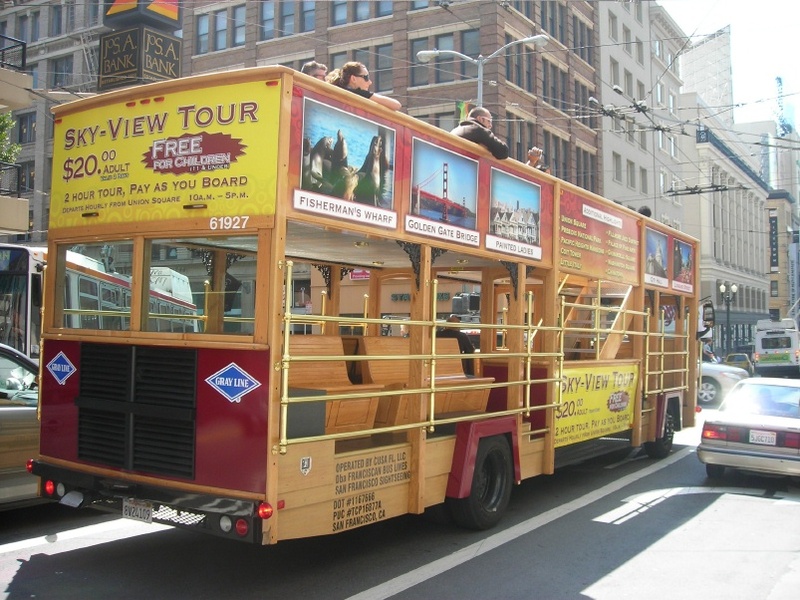 There are many motorized vehicles running around San Francisco that are referred to as "cable cars". 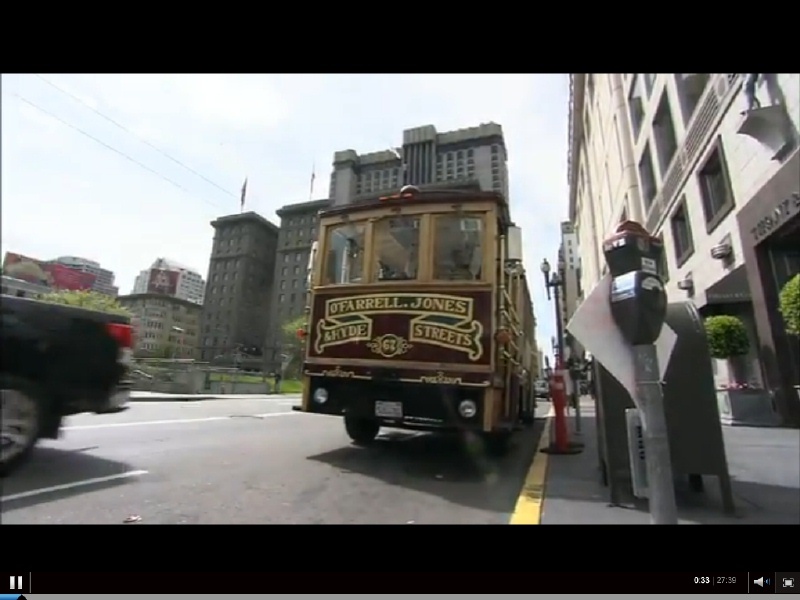 Some are original cable cars; many are not. 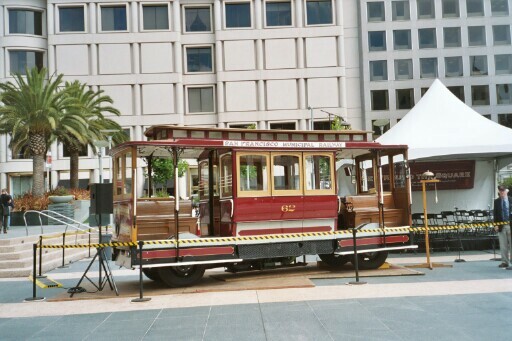 Car 62 before the 2004 Cable Car Bell Ringing Contest in Union Square. Photo by Joe Thompson. In 1947 the movie studio RKO contracted with Cal Cable to borrow a cable car for the movie I Remember Mama (released 1948). It was decided to ship one the short Jones Street shuttle cars, No. 61, since it would be easier to ship than a full size cable car. On June 11, 1947 No. 61 was hoisted aboard a truck and shipped to Los Angeles. The car retained its trucks. No. 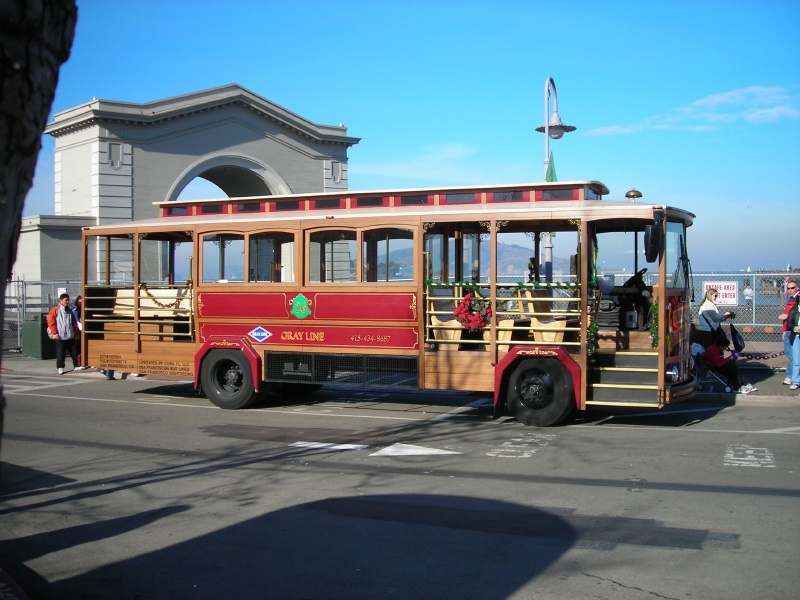 61, like all Cal Cable cars at the time, needed paint. A combination of the depression, World War II and an adverse post war economic situation for Cal Cable led to the company’s equipment looking shabby. RKO, accordingly, painted No. 61. It emerged as No. 62! This is clearly shown by a photograph on page 105 of Lucius Beebe and Charles Clegg’s book Cable Car Carnival. Beebe and Clegg wrongly caption the RKO photo by stating that "RKO Studios in Hollywood supply authentic San Francisco atmosphere for the film of I Remember Mama with a real California Street grip." The bottom grip Jones Street shuttles never ran on the side grip California line. In the movie the now No. 62 is signed "O’Farrell, Jones & Hyde Streets." Interesting, since the movie family lived on Steiner Street. 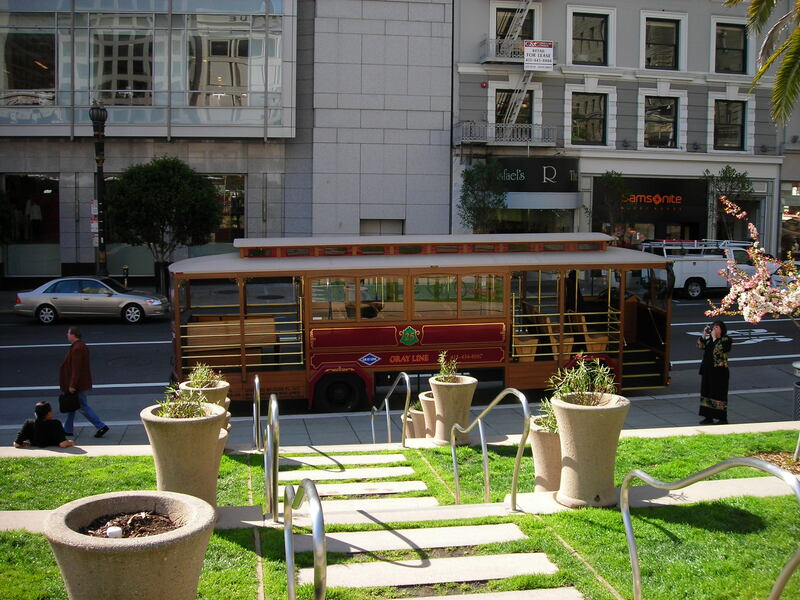 They would have to walk 11-blocks to catch a cable car! Why the number change is unclear. Evidence suggests that the car specified in the contract between the movie studio and Cal Cable was No. 62. No. 61 was sent in place of No. 62 after the Cal Cable determined that No. 61 was in better condition. Cal Cable was going to get a freshly painted cable car. The actual reason may never be known. Muni in January 1952 purchased Cal Cable and in early 1954 the renumbered 62 was motorized on truck chassis by Muni for parades, charters and the annual Cable Car Bell-Ringing Contest. At the time it was correctly signed "O’Farrell, Jones & Hyde Streets." The original No. 62 was renumbered to No. 61 painted and placed on rubber tires, but not motorized and shipped during November 1959 to Osaka Japan for display at the Osaka Transportation Museum. Unfortunately, No. 61 was incorrectly signed "Van Ness Ave, California & Market Streets." Subsequently, when now Muni's No. 62 was repainted it was also given this incorrect signage, which is its status today. 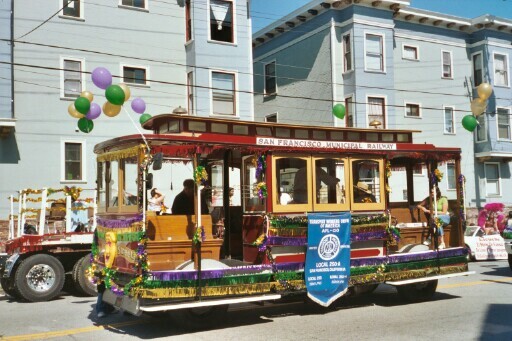 Car 62 waits in the staging area for 2005 San Francisco Carnaval Parade. The car was decorated by gripman Val Lupiz and other members of the Cable Car Division, Transport Workers of America Local 250A. 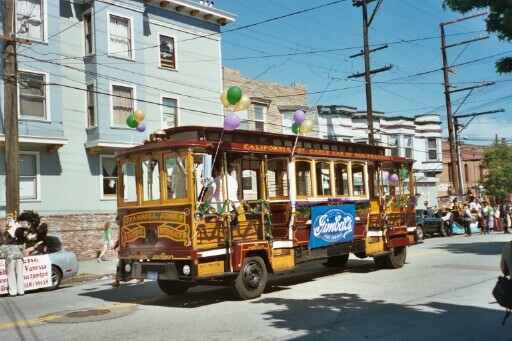 Car 46, another real cable car, operated by Cable Car Charters, waits in the staging area of the Carnaval Parade. Little 62 sees quite a bit of action, not only for Carnaval, but as the official "platform" for the Bell Ringing Contest, up until a few years ago in the Chinese New Year's Parade, earlier this year in the Gay/Lesbian Parade, and in the recent movie Hulk. 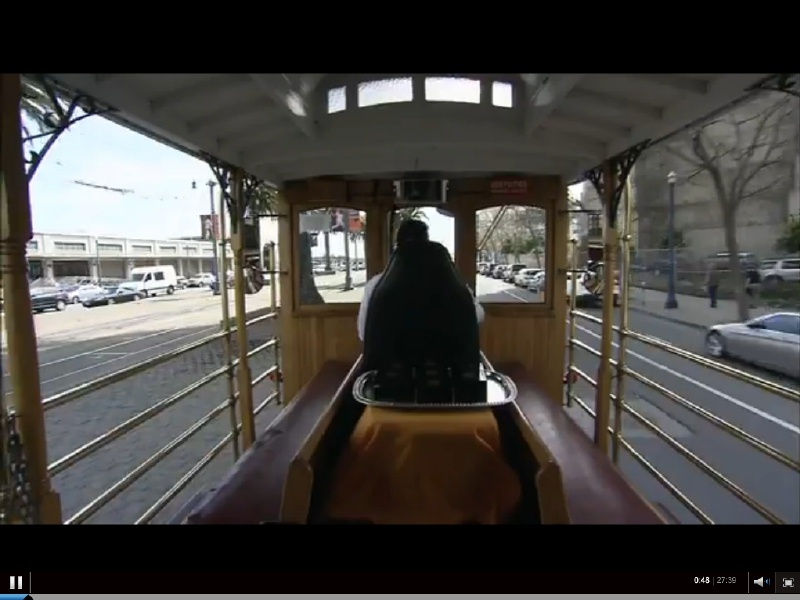 She is also the only motorized cable car owned by the Muni. Car 62 on the set of the movie The Incredible Hulk in 2002. Photo courtesy of Susan Holzer. Copyright 2002 by Susan Holzer. San Francisco sent car 62 to Sacramento to be part of its exhibit at the 2010 California State Fair's Hall of Counties. It was reported to be very popular. Powell Street car 514 went in 1948. 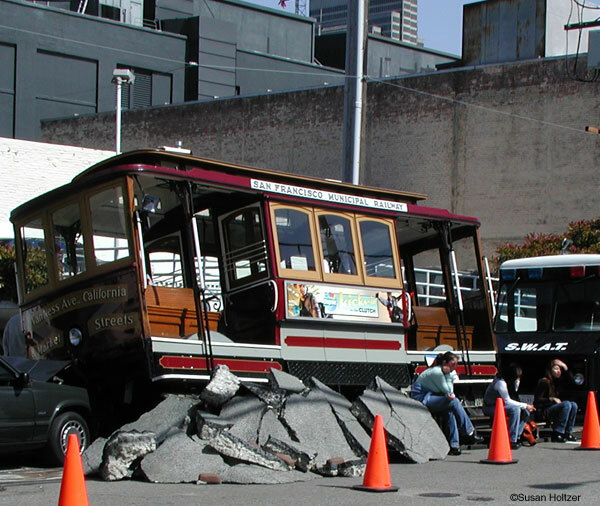 Gray Line San Francisco uses a fleet of motorized replica cable cars to operate a hop-on/hop-off service with stops at Pier 39, Pier 41, Union Square, the Ferry Building, and North Beach. This car waits at Union Square. March, 2007. Photo by Joe Thompson. Gray Line's ticket booth at Pier 41. December, 2006. Photo by Joe Thompson. Gray Line motorized replica cable car 26 at Pier 41, decorated for the holidays. Note the forward-facing seats in the front open section. December, 2006. Photo by Joe Thompson. I spotted this bizarre-looking double decker on Stockton Street at Sutter. I think it is supposed to resemble a cable car. August, 2009. Photo by Joe Thompson. 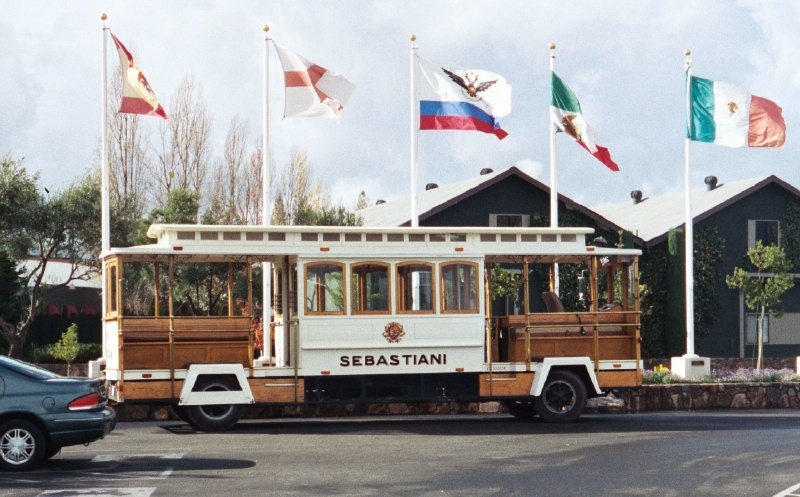 The Sebastiani Winery in Sonoma operates this motorized replica cable car to carry visitors from the parking area near the historic Sonoma Plaza to the winery. California-style cars look good in white. November, 2002. Photo by Joe Thompson. 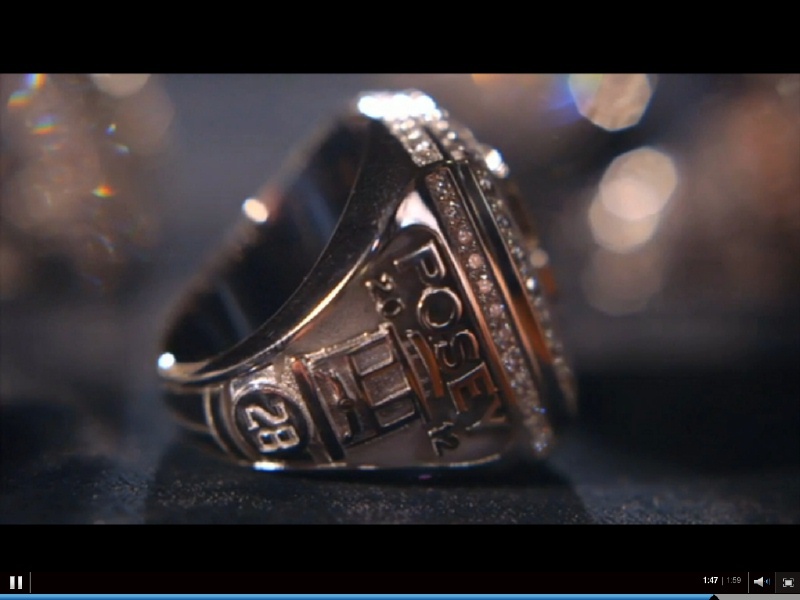 Catcher Buster Posey's 2012 World Series Ring has a picture of a cable car on one side. 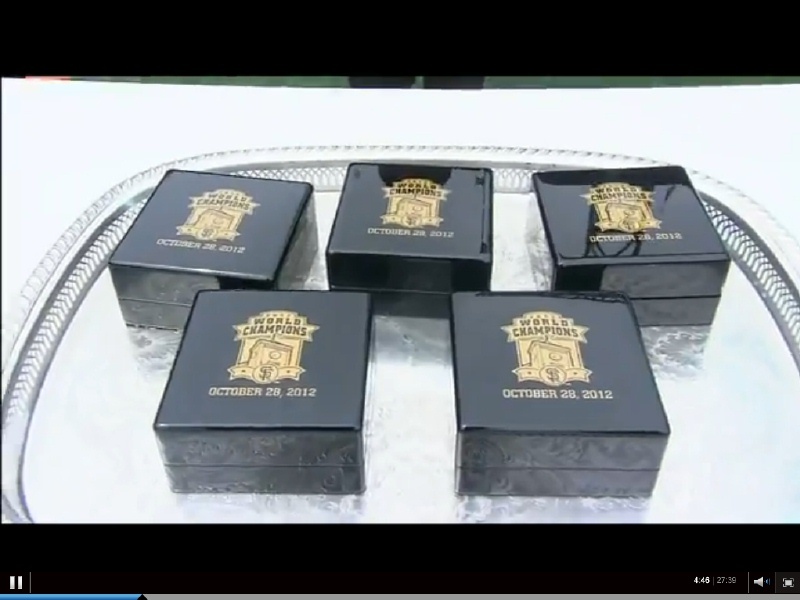 On Sunday, 07-April-2013, the San Francisco Giants received the rings which marked their victory in the 2012 World Series against the Detroit Tigers. 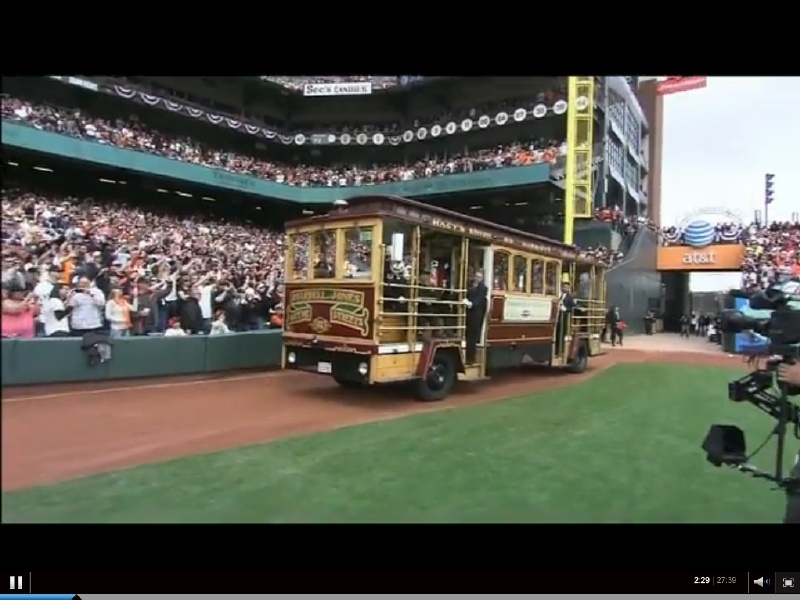 The rings include an image of a cable, and they were delivered to the ballpark by a motorized cable car, carrying people who work on the real cable cars. They included Derek Moore, Jorge Lacayo and Vincent Turnipseed, all gripmen/conductors and conductor Tony Gonzalez. I did some screen captures from a video provided by the Giants. The motorized cable car waits outside Tiffany's on Post Street at Union Square. 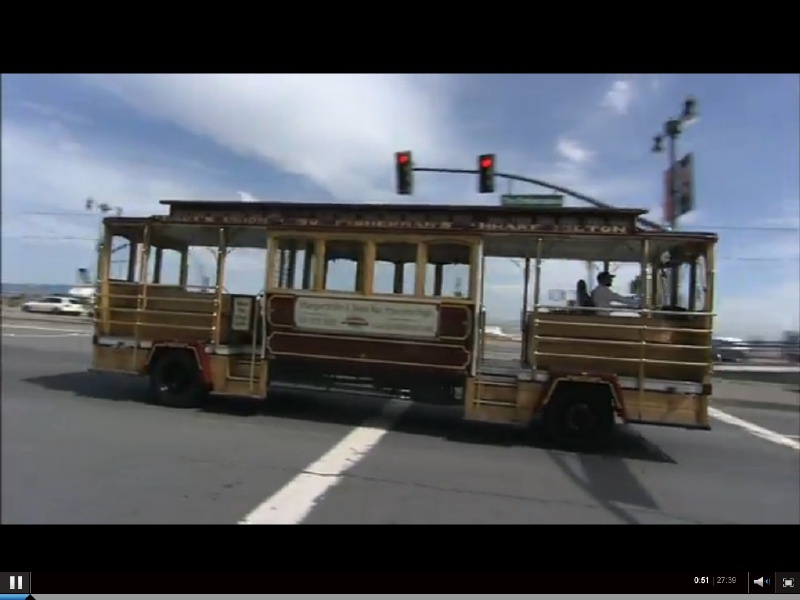 The motorized cable car drives down the Embarcadero towards ATT Park. 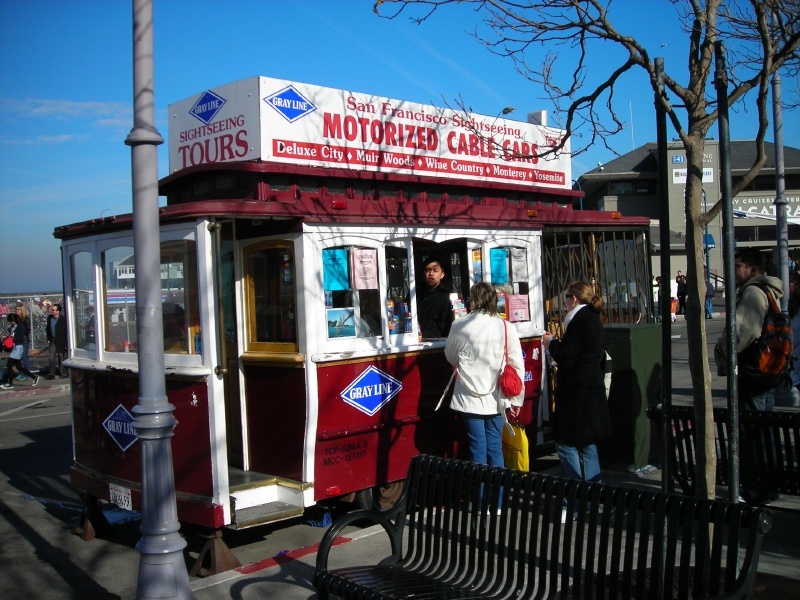 The motorized cable car drives along the Embarcadero. 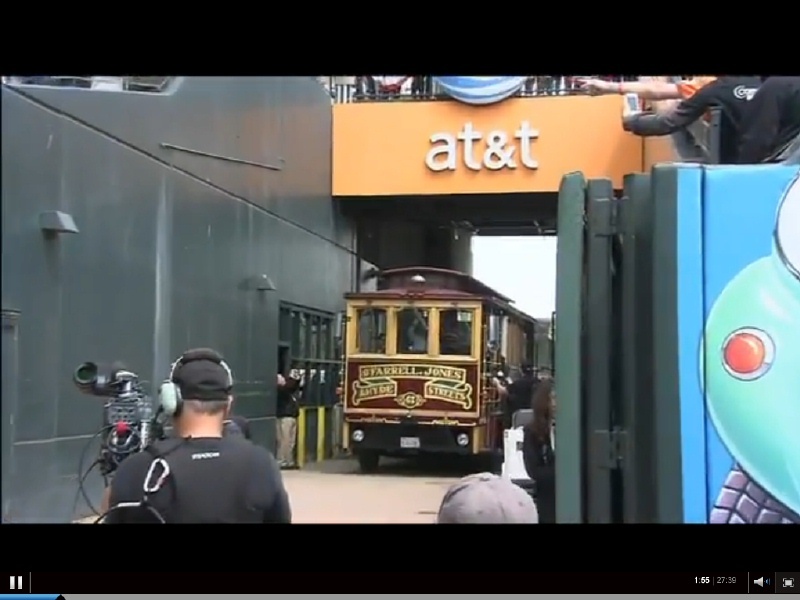 The motorized cable car enters ATT Park. 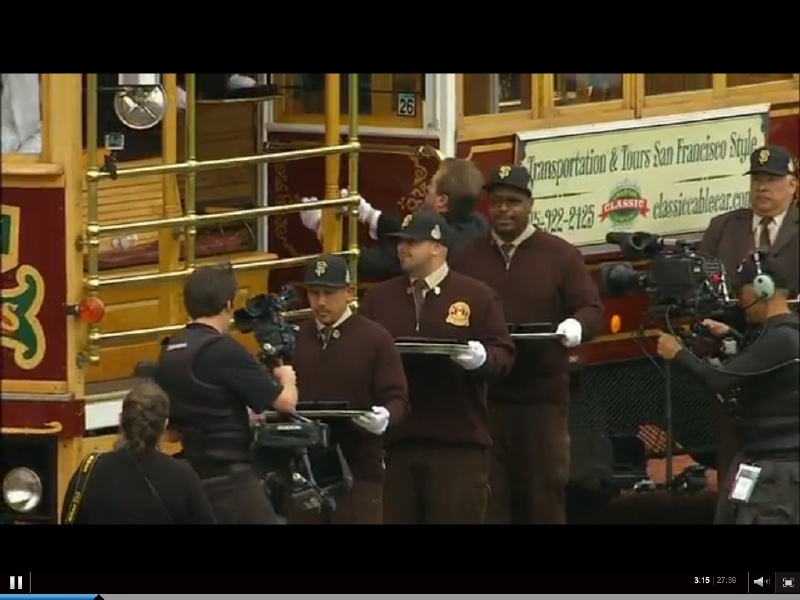 Cable car crewmen hold trays with the rings as the motorized cable car rolls down the third base line. May, 2013 Picture of the Month. 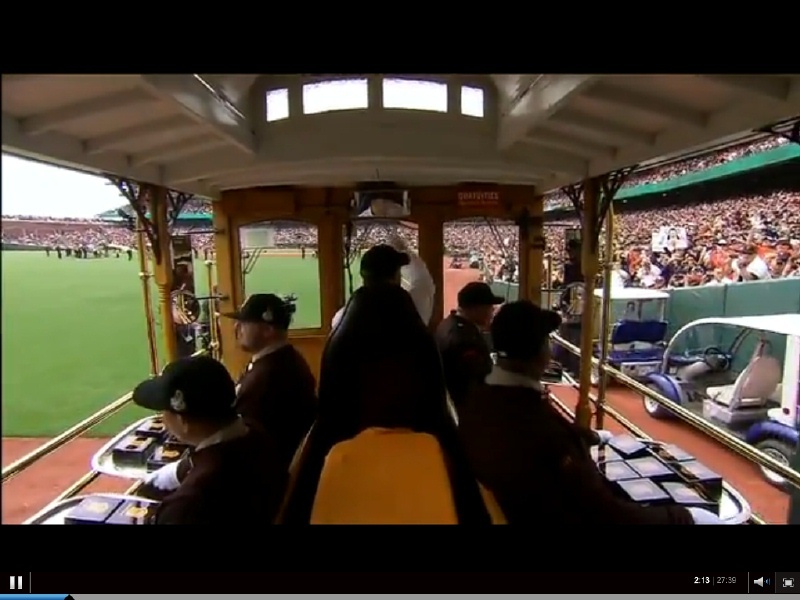 The motorized cable car in left field. 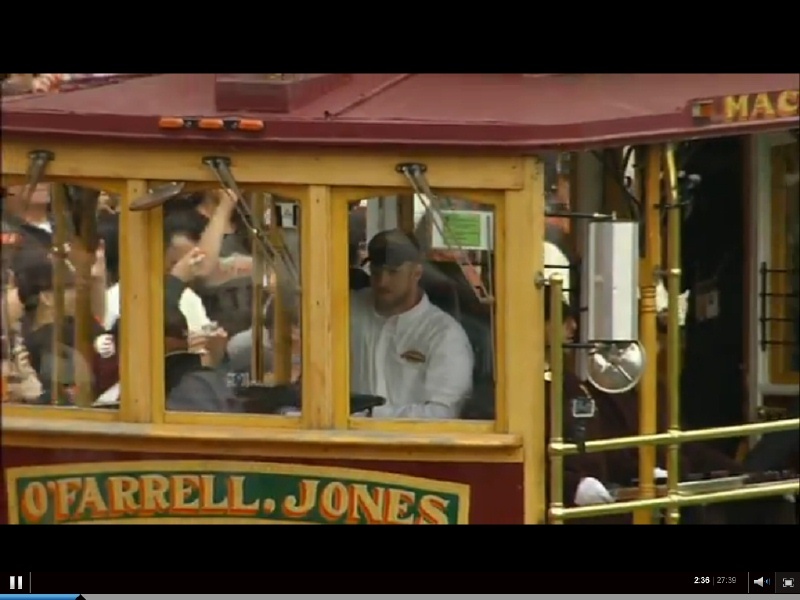 The driver of the motorized cable car rings his bell as the car rolls towards home plate. White gloved cable car crewmen carry trays with the rings. 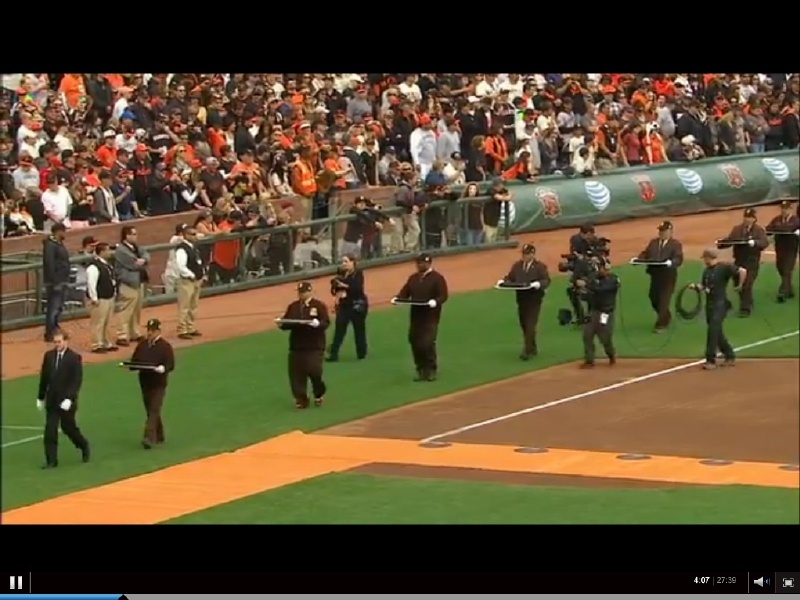 A line of cable car crewmen carry the rings towards home plate. A tray of boxes with the rings. Return to San Francisco Miscellany. Copyright 2005-2010 by Joe Thompson. All rights reserved.